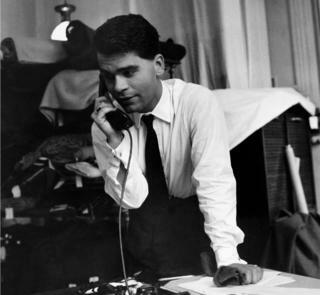 Fashion designer Karl Lagerfeld has died, aged 85, in Paris. Lagerfeld fits one of his designs on top model Ines de la Fressange at Chloe’s Paris studio. 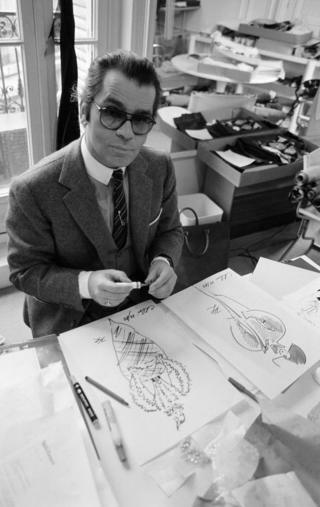 Lagerfeld works on design sketches at Chloe’s Paris studio. He began his career with Chanel in 1983, a decade after Coco Chanel died. In 1984 he launched his own name label. He cut a striking figure wearing a distinctive ensemble of crisp white, high-collared shirts with black tailored jacket and jeans, punctuated with a tie, shades, fingerless gloves and black boots. As a designer he transformed the fortunes of Chanel, one of the leading names in high fashion. Linda Evangelista walks the runway at the Chanel Ready to Wear Fall/Winter 1991-1992 fashion show. In 2018 Chanel become the first luxury fashion house in the world to stop using exotic animal skins, like snake, crocodile, lizard and stingray. “We did it because it’s in the air, but it’s not an air people imposed to us,” Mr Lagerfeld said. He argued “there was not much fur” in Chanel’s work to begin with. German model Claudia Schiffer and English model Kate Moss though displayed fur creations designed by Karl Lagerfeld for the Fall-Winter ready-to-wear collection of Chanel in Paris. Lagerfeld also transformed the catwalk. For the Chanel AW14 show in Paris it became a high-end supermarket. In 2016 Chanel staged its show in the Cuban capital Havana – the first international fashion show since the 1959 communist revolution, shown in the two images below. 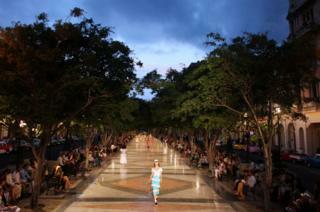 World celebrities gathered at a leafy promenade that was turned into a catwalk for the firm’s Cruise collection, even though Chanel goods are not sold in Cuba. Celebrities – including actor Vin Diesel and supermodel Gisele Bundchen – attended the show at Havana’s Prado promenade to see Lagerfeld displaying the new collection. Lagerfeld said the line was inspired by Cuba’s “cultural richness”. ← Brexit: What trade deals has the UK done so far?